Ingredients: Manihot Utilissima (Tapioca) Starch Powder, Mica, Diatomaceous Earth (Solum Diatomeae), Anthyllis Vulneraria Extract, Hydrated Silica, Hamamelis Virginiana (Witch Hazel) Bark/Leaf Extract, Camellia Sinensis Leaf Extract, Fragrance (Parfum), Silica, Iron Oxides (CI 77491, CI 77492, CI 77499). Contains components of natural essential oils: Limonene, Linalool, Citronellol, Geraniol, Coumarin, Citral, Benzyl Benzoate, Farnesol, Eugenol, Benzyl Salicylate. 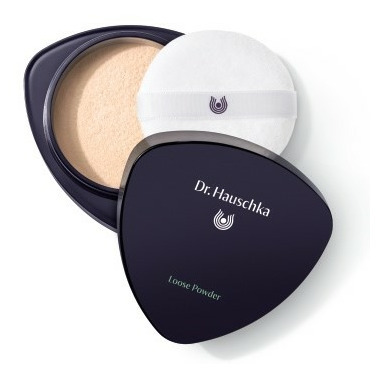 One of the finest and healthiest facial powders in the world, which contains silk instead of harmful talc. A light powder that goes on smooth, yet covers beautifully for a flawless finish.